Does Social Media Rule Publishing? #Yes. The emergence of social media has had a tremendous impact of how digital news is produced, consumed, and specifically around how the journalists behind the stories are pressured to re approach and modify their craft. This month, Edelman Media Network teamed up with two start ups NewsWhip and Much Rack and surveyed 250 working journalists, revealing that more than three-quarters of them feel increased pressure to get their stories shared on social media. More than 75% of journalists say they feel more pressure now to think about their story’s potential to get shared on social platforms. To make their stories more shareable, journalists are infusing their stories with five key ingredients: video/images, brevity, localization, more use of human voice and a proximity to trending topics. Nearly three-quarters of journalists are now creating original video content to accompany their stories. However, very few journalists (13%) are relying on sourcing consumer-generated video and only 3 percent are using corporate video. Journalists see five key trends impacting their profession this year: more mobile friendly content, faster turnaround times, more original video, smaller newsroom staff and social media growing in influence. Employers are becoming increasingly dependent on social media for traffic. In September 2013 Shareaholic reported the eight biggest social referrers drove 16.4% of traffic to publishers’ sites, and a year later, that number had nearly doubled, to 29.5%. As the study revealed, journalists are now feeling the pressure to write “sharable & digestible” stories surrounding topics which are already trending and focusing on ways to develop headlines which demand attention. Journalists are also being called upon to leverage their individual social media profiles and adjust how they approach their stories to aide in getting the stories the most possible shares across social media. 82% of survey respondents said they use images to make stories more searchable (click to tweet). It’s a fact that 90% of the information transmitted to the brain is visually based (click to tweet), and the human brains processes images 60,000 times faster than text, a stat which I often share when discussing leveraging visual content within social media. It’s no surprise the facts revealed within the study, and how social media has redefined journalism and publishing. As social media continues to become more prevalent many traditional media companies continue to struggle to keep up. Employers are becoming increasingly dependent on social media or traffic, and roles such as mine are here to help journalists, and the rest of the business stay up to speed with trends in social media. I think the study shares some great stats, and raises a great issue faced by journalists. What do you think? Please leave me a comment or tweet me your thoughts. This week at the gym I saw a man dancing in between his sets. Dancing maybe an understatement, he was rocking out to his routine and having the time of his life doing so. People started at him, and he was unfazed, in the zone, enjoying every minute of his workout, breaking a sweat, and enjoying himself. I was able to work out out until the week before I delivered my baby, and found it kept me feeling like myself despite the growing belly I was carrying. Now three months post postpartum I’m enjoying the challenge of getting back in shape, and regaining my body. Getting back in shape is one of the hardest things I’ve ever had to do, and I’m enjoying the mental challenge of pushing myself and proving to myself that I can. 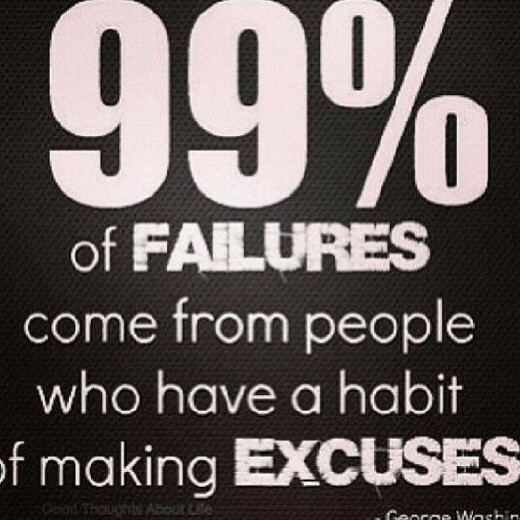 It’s a challenge to find the time to workout, and to stay motivated to keep going, but as the title of this post says, “Results, not Excuses”. It’s printed on my husband’s high school baseball tee shirt I’ve slept in since our college years, and a saying which translates both in our personal and professional lives. As I’m getting my groove back I tried something new with my girlfriend Anna, we headed to Swerve Fitness in NYC. It’s different from any other cycle class I’ve ever been too as it’s setup to be a team inspired cycling studio. Riders are divided into three teams that compete against each other. 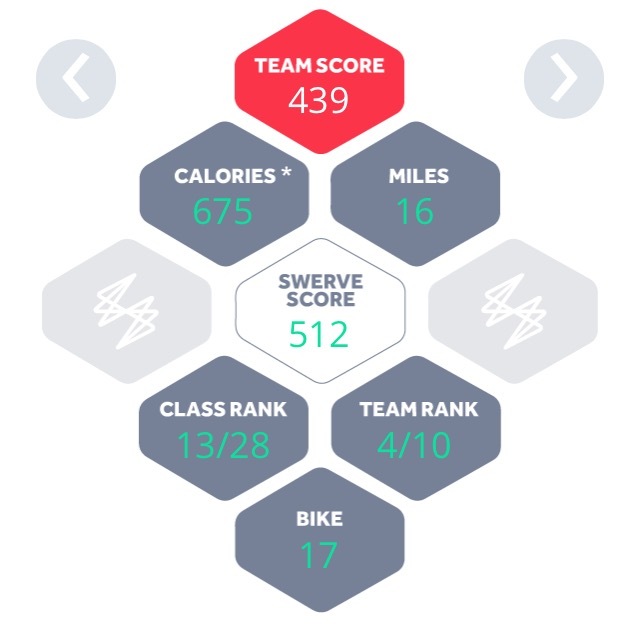 The studio uses tracking technology which displays your personal score, however only the team average and top riders each sprint or hill are displayed. You receive points based on how hard you push yourself, they use the phrase, motivation without intimidation. My stats are displayed below, I pushed myself as hard as I could, and I think for my first time cycling post baby, the results were pretty good! Once I got the hang of it, and figured out that the more I pushed myself the more points I got, the more I challenged myself. As a college athlete, I’m an overly competitive person, and seeing my bike number on the screen as “winning” numerous sprints the second half of the class really motivated and pushed me to work harder. I loved the class and the social aspect of receiving my stats is an added bonus. Now that I’ve got the ability to track my performance over time, I can’t wait to come back and work harder to reach my personal best! If anyone is interested in trying it out let me know, the studio does a great referral program where we’ll both receive $50 credit towards future classes, I’ll gladly send you the link, just email me. Whether you are dancing around at the gym or cycling and singing out-loud to the beat always remember to have fun and commit yourself. To get inspired you need to remind yourself of the end results of your labor, whether it be working out, or achieving another goal in your career, and to do so you must change your thoughts to change your world. Everyone encouraged me to enjoy every second with my baby and advised that time would fly by quickly. 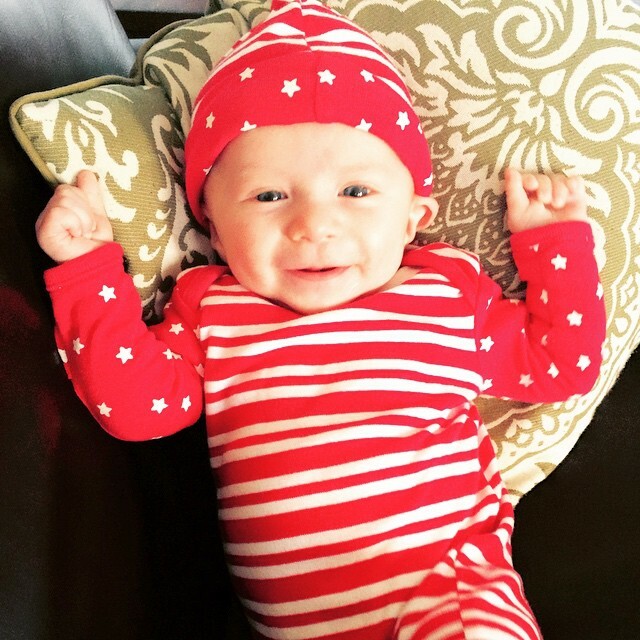 I unplugged and disconnected from the digital world as much as possible, I enjoyed spending time cuddling with my baby boy, Lucas Emet Pick. We’ve done so much in the past three months, it’s hard to believe. Not only did we welcome Lucas into the world, but we packed up & sold our co-op in NY and moved into our new house in NJ and settled in with a newborn. I can’t believe how quickly three months have passed, my maternity leave has come and gone, and I’m heading back to work in the Big Apple tomorrow. On the eve of my final day at home, I wanted to reflect upon my three month hiatus and share five thoughts. 1) You’ll be amazed at what your body can do. I’ve always been someone who needed extra sleep to function, so before Lucas I was anxious about how I would react to the sleep deprivation that comes along with being a new parent. It’s amazing at how little sleep you need to actually function and how quickly your body adjusts. In the early stages of feeding Lucas, every few hours I would always hold him tight and get a chill of the excitement that I would be able to sooth my child and give him what he needs. Even during his early growth spurts he would flash a smile that would make my heart melt. It is all worth it. 2) It’s okay to cry, a LOT! Right after birth, the nurse laid Lucas on me, I couldn’t stop crying. I was waterworks central the first two weeks, but my hormones adjusted. I remember our first “long” car ride from Long Island to New Jersey for Lucas’ bris, sitting in the back seat of the car next to his car seat sobbing for no reason. It was the first time I had to get myself dressed, packed, and get him organized and out for a few days, and it totally wiped me out. Over time I developed a rhythm, and doing things became much easier, just as my mother said they would. Sometimes I cry just because, and guess what, It’s okay! 3) You can’t imagine the love you will feel as a parent until you actually become one. Okay this sounds silly and cliche, but it’s really true. I didn’t expect to feel a bond with Lucas so quickly, but the second the nurse handed him to me, it made my heart melt into a pile of mommy mush, and to this day, I fall more in love with him every second of every day. 4) Enjoy the Experience. The past three months have been the most exciting three months of my entire life. I’ve fallen head over heels in love with Lucas and I’ve fallen more in love with my husband seeing him as a father. We’ve tried to soak up every moment together as a family and I’ve never felt so grateful to be surrounded by so much love. 5) The best advice I would like to give any new parent is to ignore everyones advice. Every family member and friend seemed to have advice or thoughts that they loved to share, all of which we appreciated. However, there’s no parenting guide that is a one size fits all model. In the end you have to adapt to what works best for you, and ignore everyone else.